Each phase of your child’s development can be challenging. Once you master one phase, your tot is ready to move on to the next. Personally, I’ve found feeding my twins to be the most challenging thing we’ve face and it topped those sleep-deprived nights trying to settle two babies alone. Ultimately, we are developing our children’s healthy eating habits that will last a lifetime. It’s scary to think about how much of the groundwork we are laying down for them in these early, formative years. We are more pressed for time then our parents ever were regardless if we are a stay at home or if we work outside the home. We have found a way to busy up almost every minute of our lives. 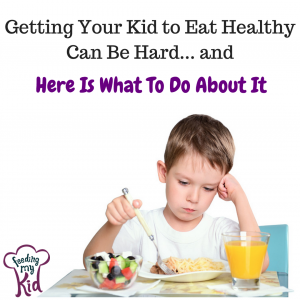 Teaching Our Kids To Eat Healthy Food Options Is Hard! “Greater than 65% of toddlers with feeding disorders are 1st born children. 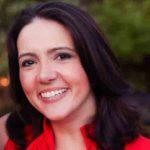 Parent feeding behavior modification is more effective than child modification,” Kath Megaw, Pediatric Dietitian. Would You Do The Same Thing If Your Child Were Having A Hard Time Learning To Read? Would you just give up and say here are picture books and label it as just a phase? Or would you spend more time helping him learn to read and/or hire a tutor? Why should learning how to feed your kid nutritiously be any different than the hard work needed to teach a child to read? I’m here to get you to think of feeding in a whole different way. Your goal shouldn’t just be to get them to eat some calories. You are helping them develop their taste buds and flavor preferences that will impact their tastes as adults. Yes, adults can be picky eaters too and those habits start in childhood. Your child will have an easier time when visiting a friend’s house for dinner, visiting other countries, experiencing other cultures and experiencing all dining has to offer both as a child and into adulthood. If you put the work in now, you will make it infinitely easier for yourself, and ultimately as your children get older. You want your future adult children to seek out food full of flavor, spice and other nutrients. You don’t want your child to turn into an adult that only eat pizza, steaks, wings and French fries. I found this statement to be very profound and I wanted to share it with you. “What Do You Mean By Food Education At Home? The French believe that teaching a kid to eat is just as important as, and just as time-consuming as, teaching them to read. When you teach a kid to read, you teach the alphabet, then words, sit with them, read with them. The French feel that way about eating. They have a long-term view. They also don’t get frustrated when there are bumps in the road. Some kids take longer to read than others, but they don’t give up and say “This kid is a picky eater, she just doesn’t like broccoli.” You don’t treat fear of foods as a personality trait, you treat it as a phase.” -Bon Appetit/Karen LeBillon Emily Fleischaker summarizing Karen LeBillion in her book French Kids Eat Everything. I wish I made more of my own baby food, but I was so overwhelmed by it and it seemed like a lot of work. A goal of FeedingMyKid is to make this easier for you through the support and information found throughout the website and online community. Eating vegetables really starts to decrease around 9 months of age and that is because processed foods start to get introduced. It’s generally more enjoyable for kids to crunch foods like crackers than to eat pureed squash or smashed avocado. If kids aren’t introduced to these processed foods like pretzels and crackers, then you have more time to keep offering them savory (vegetable) foods filled with seasonings and spice. If you don’t want a fight about food later on, don’t offer it now. I didn’t have food cravings, but I had a ton of food aversions when I was pregnant with my twins. I couldn’t eat much of anything, except for pasta and meat. I actually was so sick of my boring pregnancy palate that I couldn’t wait to start eating vegetables to mix the flavors up. Knowing what I know now, I wish I pushed through these food aversions and ate so many more flavors and varieties of food. It’s amazing, but these flavors go through the umbilical cord and through breastmilk to start developing his or her taste buds. They are more likely to like savory foods if you ate them during pregnancy and while nursing. If you didn’t breastfeed, don’t worry; you can still help to establish their early taste preferences by offering all these foods early on when introducing solids to your baby. I followed the lead of my friends that had kids a little older than my twins. I offered super smooth purees, because my friends were so afraid their child will choke. So of course, I was afraid of that too. Then, when I started offering anything with texture, my twins would spit it out. I was so nervous that I was going to turn them off from eating all together that I kept giving them purees for the next few months without introducing textures. We are still struggling with eating complex meals with mixed textures, but I won’t give up! This isn’t easy! Don’t worry when they make a funny face when you introduce new foods. That face doesn’t mean they don’t like it. It just means it’s different and they’ll need to get used to it. Add textures to the food, mix different foods together and offer it to them. Keep offering them new and different foods each day, this rule is called the rotation rule, or at least once a week. If you offer the same type of foods, then you are probably creating rigid eaters. Offer them age-appropriate finger foods and food you are making for the whole family. Don’t get stuck in the trap of only offering them babies foods because they are a baby. By around 7-9 months, you can start introducing most of what you are eating to them, just cut it up small, regardless of how many teeth they have. Reset your expectations for how much they should be eating. You are probably expecting them to eat too much and are being disappointed all the time. Kids eat about a tablespoon of food, from the four food groups, per year of life. That means a serving size of vegetables, fruit, grains and protein is just one tablespoon of each on a plate for a one-year-old. You can double that for a two-year-old and so on. Know that this is hard. Try not to show your frustration when you sit down with your children. Previous articleShould You Be Hiding Veggies in Muffins, Pizzas and Smoothies?